Available for men, women, and kids (and as sticker!). 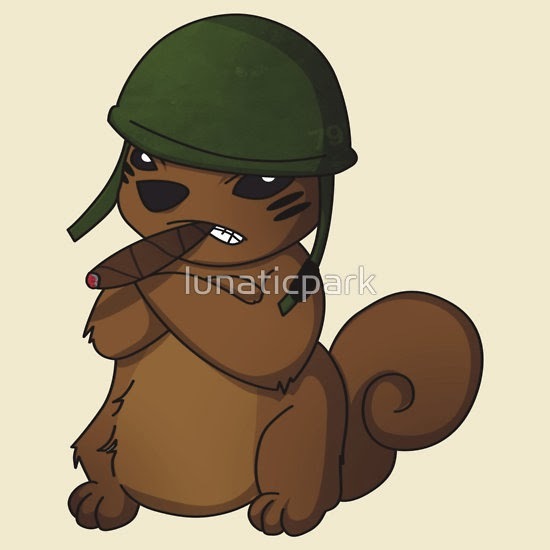 This angry squirrel means business. Shutter the birdfeeders! Call in the dogs! Hide the suet, and block the chimney! Here's what it comes down to: a fun shirt with a catchy illustration.